Thanks for the link. I do need to read over the whole thread at some point. But as for the starting point, I am favorable to charge-sustained WH bridges and think that something like this is the way to go Large fleets should require dedicated logistics ships for sustaining a WH of adequate size to bridge the whole fleet. Those logi ships being effectively 'high burst energy output' ships sounds good to me. In this manner they might also serve other support roles during battle, such as maintaining active shielding thanks to high burst potential. Wow Flat, this looks very cool! And very detailed. The planets, on the other hand, are all made up except for those in our Solar system and the roughly 1500 exoplanets we knew of when I was working on this project. I never got this map to the point of being pretty. And I wasn't competent to get the code for the 3D math working correctly for proper high-precision rotation/translation. But I'll never forget how satisfying it was the first time I flew to Earth and the stars were right. Anyway, since we're talking about star maps, I encourage folks to visit Winchell Chung's 3-D Star Maps pages -- they're gorgeous. Or he wants you to build a gigantic AC magnet. In regards to 3d maps, I think a good compromise would be 3d Regions (what you refer to as tiles near the end) but an overall 2d structure. It's more interesting and even a bit more realistic. I am personally not a fan of 3D maps at all. 2D maps provide the exact same layout but with less confusion and difficulty in navigation. For example, EVE's 3D map is just worse than their 2D one. The layout was designed that no stars overlapped meaning that the 2D was just a more readable version of the 3D map. 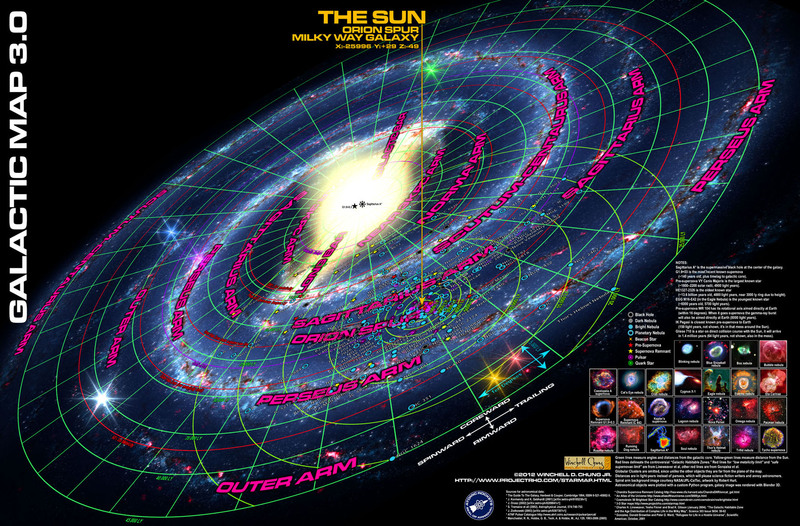 For the universe structure, I agree that the systems don't need to be displayed on a 3d map. The only time 3d will likely be useful gameplay wise will be in RTS view within a system. Jumping from one stable wormhole to another doesn't convey distance gameplay wise so it is less important to convey that distance on a map. However, the number of jumps to get to a given system are important. So, with this in mind, a 2D map makes the most sense when mapping systems and a 3D map makes the most sense for combat situations, exploration, and other gameplay concepts. Jumping from one stable wormhole to another doesn't convey distance gameplay wise so it is less important to convey that distance on a map. However, the number of jumps to get to a given system are important. except if you are using some euclidean distance limited jump drive. then you definitely need actual distance and not flattened representations. Fair. Though I think conversion between 2D and 3D is pretty much entirely aesthetic anyway, so the generation could even just default to 3D regions on a 2D tile. I don't think adding an extra dimension to generation would be particularly taxing, since the placement of stars seems to be the least taxing thing about generation. say the blue end of the spectrum is galactic up and red is galactic down with yellow being medium ? and gradients filling in between the colors. Normally I'd agree with this idea, but unless that color difference could be customized, it presents an accessibility issue for the color blind.